Limited Edition RAW joint Innovation x5! 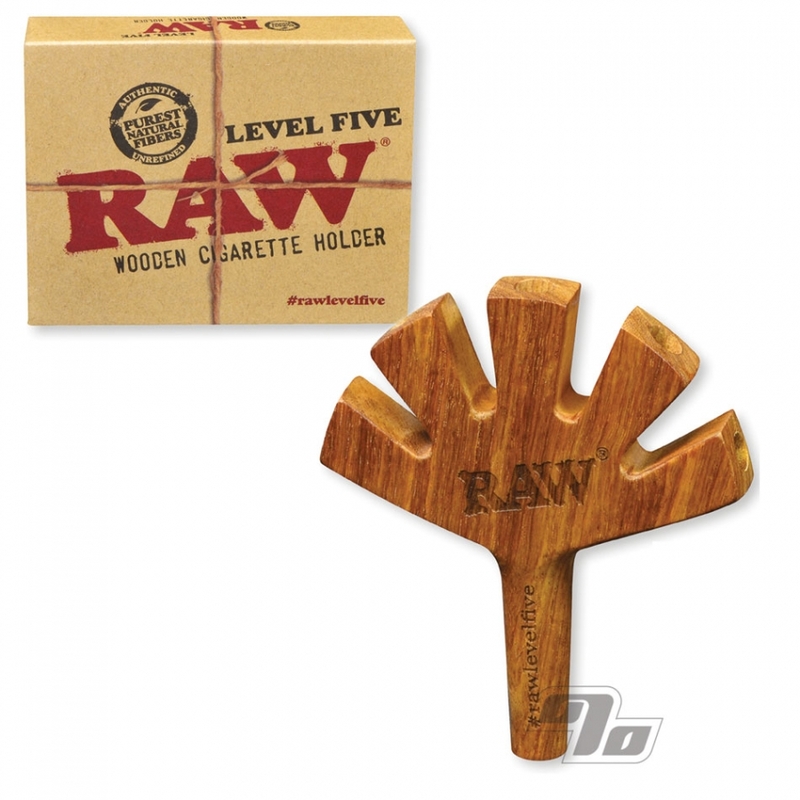 RAW brings you another innovative wooden cigarette/joint holder that steps it up a level; Level Five. You didn't know you needed the ability to smoke five cones at one time but you most assuredly will at some point! You're welcome. Each RAW Level Five is hand made from sustainable brown knotwood with RAW burned into the wood so no two holders are the same. Come in a gift box and includes a crafty carrying pouch. Go big from party to party yet keep it on the down low while in transit. 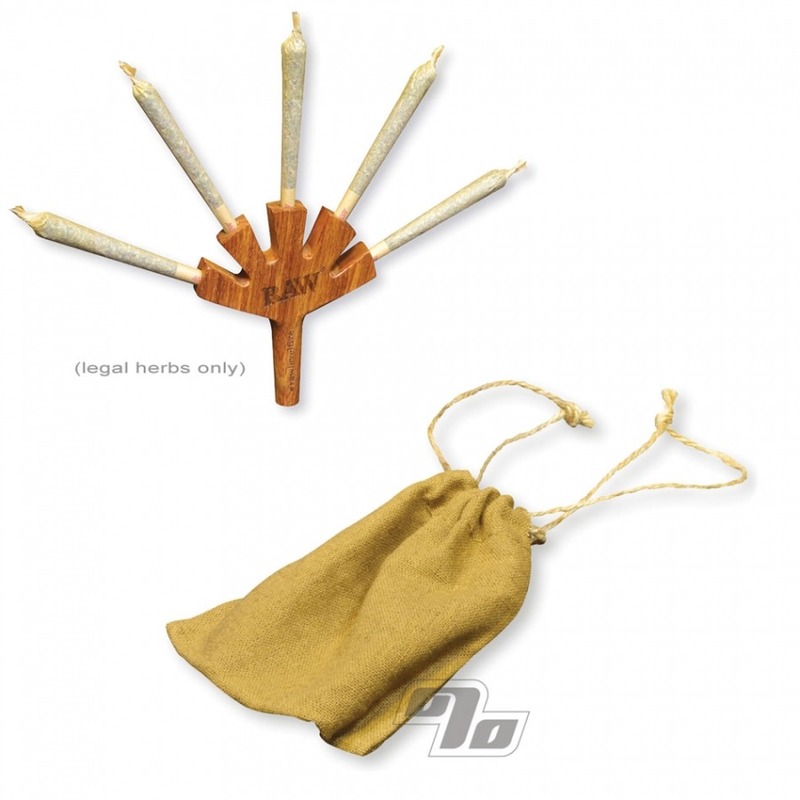 This Rawthentic, hand made wood joint holder has been brought to you by RAW Rolling Papers but works with just about any rolling paper or pre-rolled cone. If rolling your own be sure to include a Quintessential Hemp coated filter tip for a better fit, improved taste and smoother draw. If the efficiency of smoking more than one at a time is appealing but 5 at once is maybe a little much for you, know this; RAW also makes a Trident (holds 3 cones) and a couple of Doubles as well. You can also leave a hole open to use as a carb. It's all good!